This week we bring you a handy social media infographic. Social media has become a part of our everyday lives and for most of us a part of our daily routines. From updating your morning Instagram feed with that shot of an awesome cup of coffee to many types of businesses globally using the power of instant visual gratification to coax us into buying their latest products. One thing is certain, it’s all about having the right images to grab people’s interest. Image dimensions are constantly changing, and of course, differ from platform to platform. We’ve made life easier for everyone by putting together the most important need to know dimensions all in one easy to reference social media infographic. 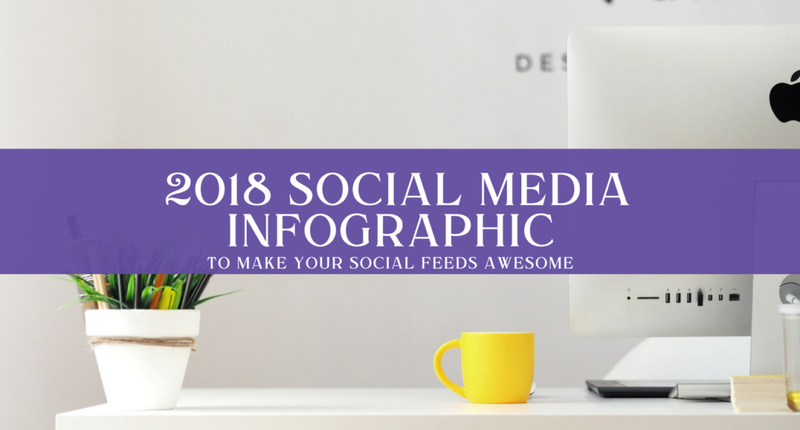 Keep on top of your social media game this year with amazing images for each platform you use, and keep this handy infographic close by! If you enjoyed this easy reference social media infographic be sure to share with your colleagues and friends!